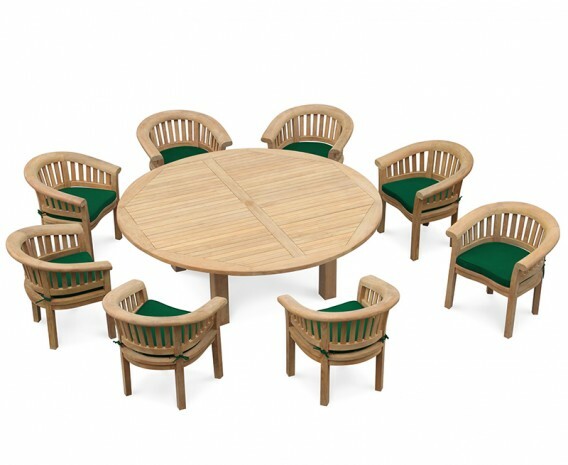 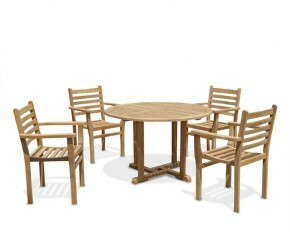 This large patio dining set is crafted to the highest spec from sustainable grade-A teak for long life and a stunning aesthetic. 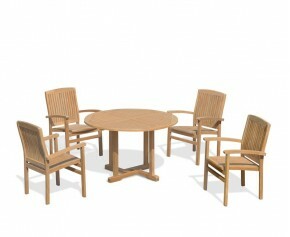 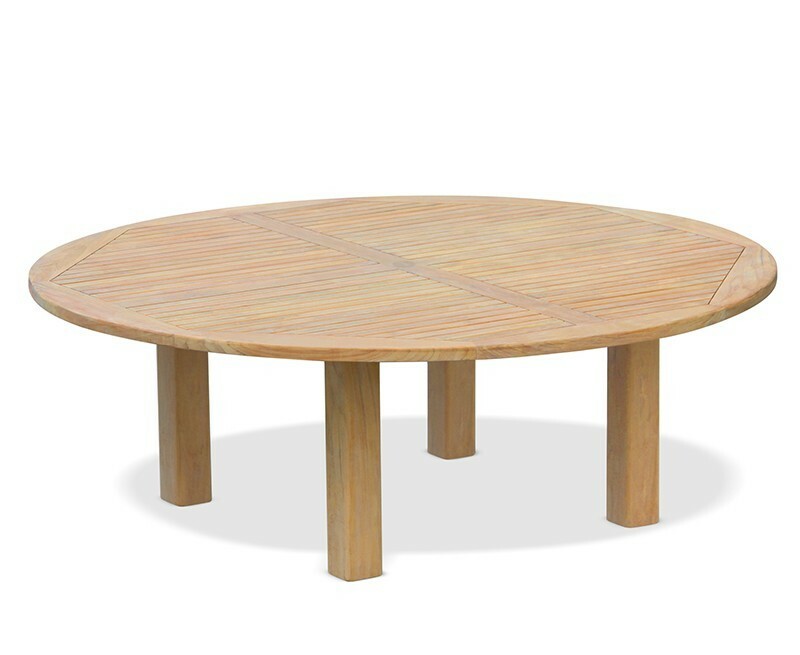 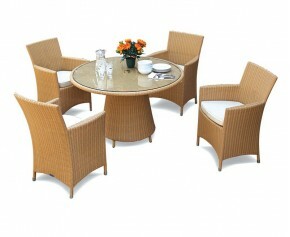 This Titan round 2.2m table with 8 Deluxe banana chairs can be left outdoors all year round in all weather. 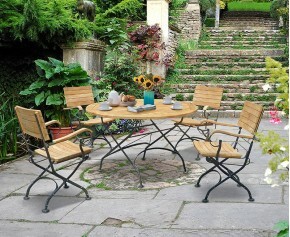 Delightfully low maintenance, occasional cleaning with warm, soapy water is all that’s needed to keep this large patio dining set looking its best. 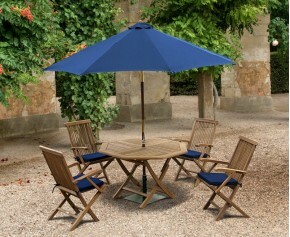 The round table is pre-drilled for a parasol and is supplied with a flush-fitting plug for when a parasol isn’t in use. 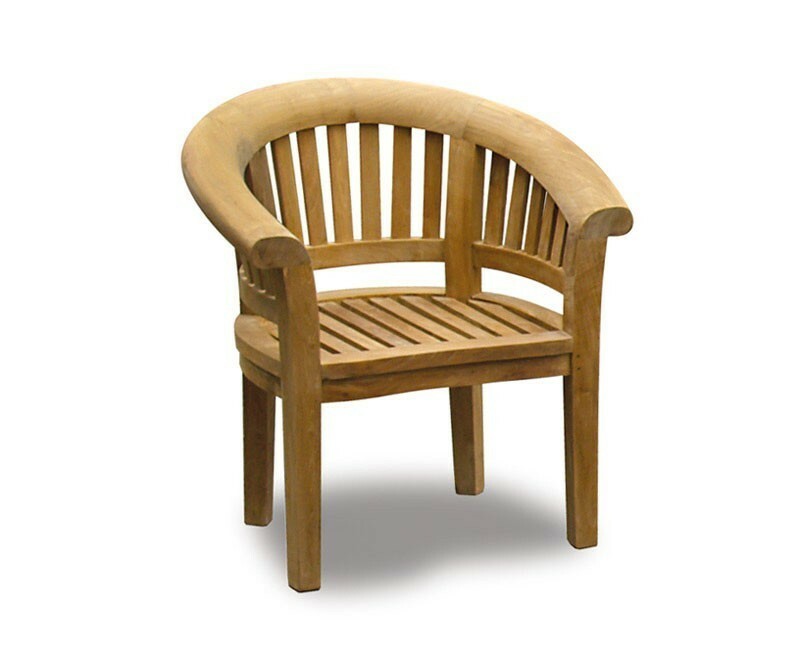 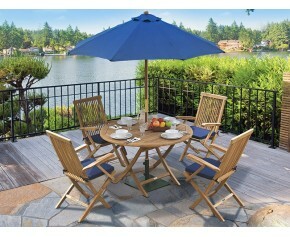 The 8 Deluxe banana chairs feature an extra-thick curved top rail for added comfort and support. 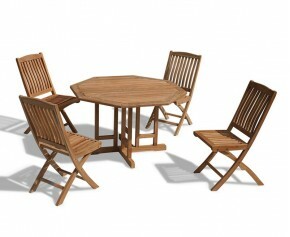 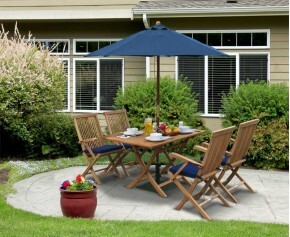 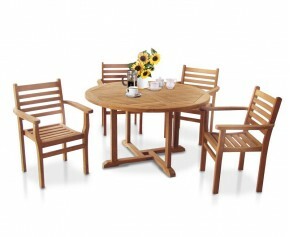 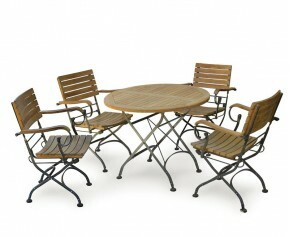 We will deliver this large patio dining set to you fully assembled for your convenience. 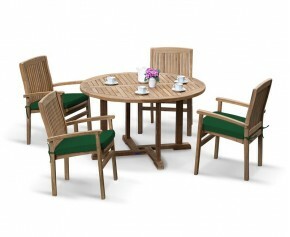 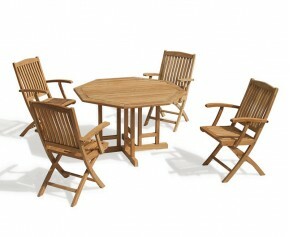 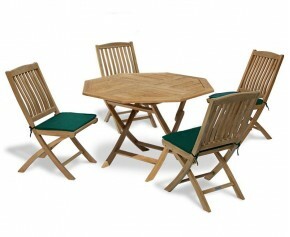 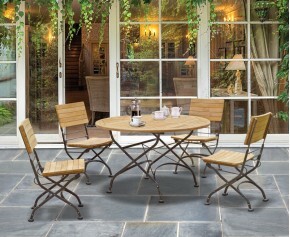 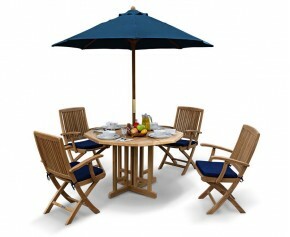 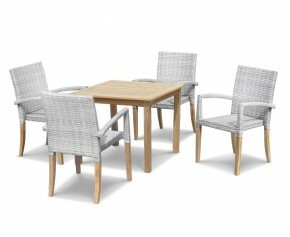 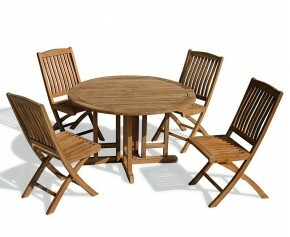 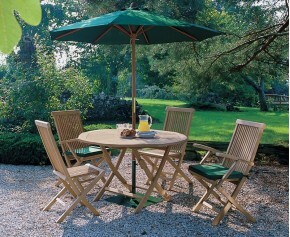 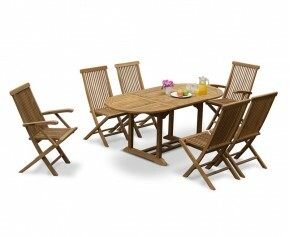 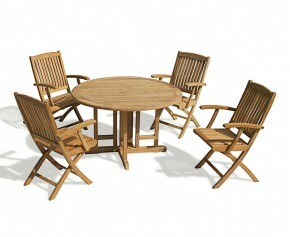 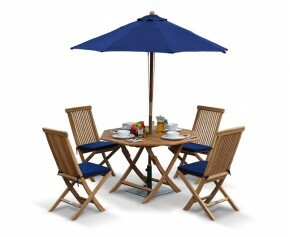 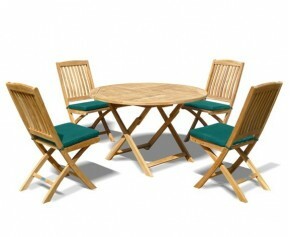 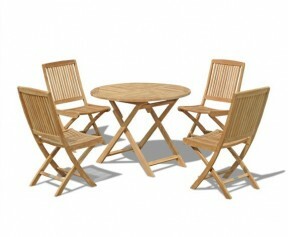 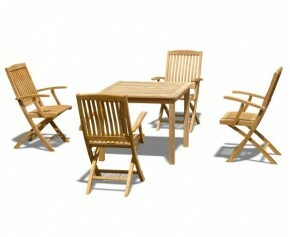 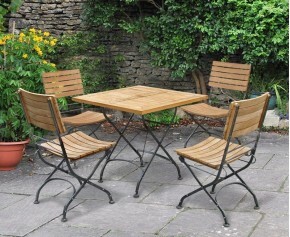 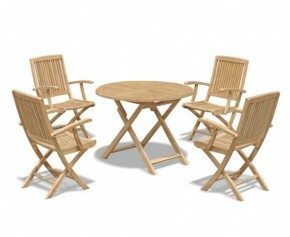 Why not accessorise this 8 seater patio set with cushions and a parasol and base (not included, available separately).